In The Tinderbox by Hans Christian Andersen, there are three guardian dogs who can strike terror into any heart via their successive ocular immensity: the first has eyes as big as teacups; the second, eyes as big as millstones; the last has eyes as big as the Round Tower in Copenhagen, no less. The great Dane neglects to mention what exactly it is about big-eyed dogs that is so scary but, on the evidence of Just Above the Mantelpiece, it could well be their horrific cloying sentimentality. There are dozens of these huge-eyed freaks on its wallpaper-print pages – dogs, cats, urchins and ragamuffins, all with maudlin, lachrymose saucer eyes of the kind usually reserved for doleful space aliens. 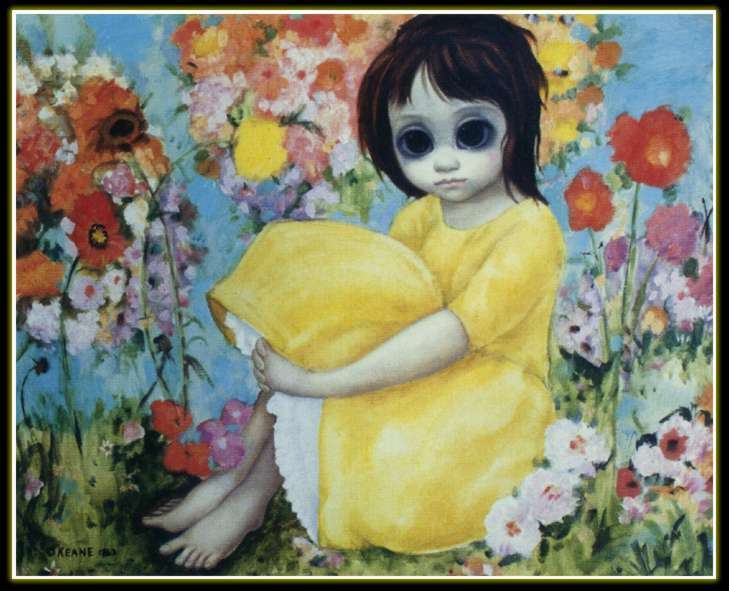 These prints, by the likes of Margaret Keane and Dallas Simpson, could have been found on many a 1970s wall and in the High Street temples of Athena, goddess of tack. Wayne Hemingway is a connoisseur of such kitsch itemries. Not that he would describe them as such. This sumptuous book is a labour of love, its flock covers containing countless examples of the genre from the huge personal collection the designer has amassed over the years. Mr Hemingway says he appreciates them without irony. And Mr Hemingway is an honourable man. “Value deserves to be restored to a genre derided by certain members of the art elite and respect should be given to artists whose work broadened the horizons of collecting to reach the working classes,” avers the author. 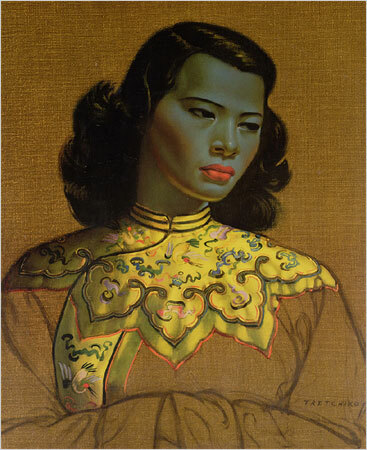 This is perhaps true of Vladimir Tretchikoff, the Siberian-born painter of the strangely blue Chinese Girl, whose work was apparently quite respected before he committed the cardinal sin of venturing into mass-produced prints. But for the most part Hemingway is conflating aesthetic discrimination with class snobbery; reproductions of Constable’s Hay Wain, Millet’s Angelus and Landseer’s Monarch of the Glen were also very popular with the working classes, yet they are not in the book. A dilution of Stubbs’s Whistlejacket does turn up, rearing on a promontory, but it is part of a larger work by Steven Pearson, also responsible for the bestselling print of all time, Wings of Love. This sub-Dalí, Leda-and-the-swan effort is virtually crying out for someone to take up paints and follow the example of the Situationist Asger Jorn, who disfigured prints found at flea markets to create his Modifications. That would be the closest many of the pictures in this book will ever come to being “art”. First published in World of Interiors issue 229. Reproduced with permission.